made by Dream Defenders on August 6, 2016. On Monday, the Dream Defenders along with 50 other organizations, representing hundreds of Black people across the country launched A Vision for Black Lives, an agenda that clearly defines policies, organizing tactics and resources to advance Black liberation. The platform included a call for the US government to divest from military expenditures and US aid to the State of Israel and instead, invest this war-making money towards building infrastructure to support Black and Brown communities in the US. Since our launch, some Zionist organizations have condemned the platform and have announced that they will cut all ties with the Movement for Black Live, going so far as to label some in the BLM movement anti-semitic. Their response has made it all the more clear why we stand in solidarity with Palestine and with Black and Brown people around the world fighting for justice. Those who have previously claimed to be allies of the Black lives matter movement have shown us that they are comfortable with our resistance so long as it fits within particular confines and restrictions. It is convenient to endorse black lives matter when it benefits you. And as long as we stay silent about Israeli apartheid, they will “stand” with Black liberation in the US. Now that our movement has taken a stand against all forms of white supremacy and oppression, Black lives no longer matter. We want no part in this quid pro quo form of politics. True solidarity does not come with strings attached. We’ve been dealing with this type of hypocrisy with our supposed “allies” for generations. On the American left, there are many wolves in sheeps clothing. You have revealed yourselves. And now that we know who you are, we will not forget. We remain steadfast in our condemnation of the State of Israel and their illegal occupation of the Palestinian people’s homeland no matter the consequence. “Solidarity with Palestine is not a requirement, it is a choice” and is rooted in the basic understanding that the state violence we experience is directly tied to the violence facing Black and Brown communities in Palestine and around the world. While our struggles are not identical, we recognize that we are up against the same systems. What is happening in Palestine is a genocide and we will not allow anyone to bully us into sanitizing our words. In 1948, the State of Israel created a Jewish majority by destroying approximately 500 Palestinian towns and driving over 700,000 Palestinians out of their homeland. Ethnic cleansing continues today in the form of expulsions, Jewish-only settlements, massive attacks in Gaza and across Palestine, in addition to over 50 Israeli laws that sanction discrimination and apartheid. As Black and Brown people living in the US, the heart of global empire, we bear a particular responsibility for global liberation. It is our taxpayer dollars that are funding Israeli apartheid and a military industrial complex that is devastating entire peoples and communities throughout the world. Having an international analysis, means we must call for the divestment of our support of Israeli apartheid and to the wars being waged in Africa, Latin America and throughout the Middle East, just like we are calling for a divestment from the policing of our neighborhoods and incarceration of our people. This is both an ideological and a strategic decision. Resources are needed to advance the Vision for Black Lives platform and there are plenty of resources to be distributed, they are just being spent on waging war against, rather than stabilizing, our peoples.This is why the Dream Defenders believe in Black and Brown solidarity and why we fight for the liberation of Palestine. We have more work to do now than ever before. In moments like these, we must double down and fight on. Check out A Vision for Black Lives – it is full of information about potential legislative action at the local, state and federal level and campaigns to support our efforts to advance global liberation. Launch a Campaign in support of the Boycott Divest and Sanctions Movement to show the State of Israel that we do not support their oppression of the Palestinian people. If you want to see it for yourself, look to organizations who run delegations with a principled stance that would allow for a real look at the situation on the ground, not a manicured one. Read more about what Black Palestinian solidarity means and looks like here. Do not stay silent. We applaud Jewish organizations like, Jewish Voices for Peace, If Not Now and the Jews of Color Caucus that have spoken out in this moment in solidarity with the Movement for Black Lives and have called upon others to do the same. The Dream Defenders remain committed to a world in which ALL people are free. As Black people fighting for our freedom, we are not thugs and our Palestinian brothers and sisters are not terrorists. For the children who are met with tear gas and rubber bullets as they walk home from school, for the families of those we have lost to police violence, for the communities devastated by economic violence and apartheid walls, we fight. To all those who believe in a world in which all people are free, join us. For those who no longer stand with Black people because of this belief, goodbye. We do not need nor want you in our movement. Ashutosh Gowariker recently released his trailer for Mohenjo Daro, an action-adventure set in ancient India’s Indus Valley civilization, c. 2016 BCE. For years, ancient India has been imagined as Hindu in TV and film. The mythological serials, Ramayan and Mahabharata, set the standard back in the 1980s with their recreation of an imagined Aryan/Vedic/Brahmanic society and culture. The vision of Ancient India as a Hindu India has been constructed with every palace wall, turned with each roll of the chariot and uttered in every Sanskritized syllable in Hindu mythological serials and in semi-historical serials like Chakravartin Ashoka Samrat. It’s also apparent in films like Mohenjo Daro. True, it looks less like the Mahabharata, but also, unlike the epics, Mohenjo Daro was a historical reality. The Indus was India’s first civilization, declining around 1900 BCE. The Aryans thereafter migrated to the Indus Valley from beyond the Hindu Kush around 1500 BCE, giving India the Vedas, the earliest Hindu religious texts. Gowariker helps popularize the claim of Hindu Nationalists that the Indus civilization was (in part) an Aryan society and civilization. Whereas the people of the Indus are believed to have been dark-skinned Dravidians, the hero in Mohenjo Daro is a light-eyed Hrithik Roshan with blondish locks and a trident. The statues of the Indus gods are recognizably Hindu, the language Sanskritized and the film features horses, animals not known to the civilization and introduced to India centuries later by the Aryans. Films like Mohenjo Daro suggest what India was and how we see the past. And like the many mythological and semi-historical TV serials and films before it, Mohenjo Daro is less an attempt at faithfully reconstructing a historical India than imagining a perennially Hindu one. The Bombay High Court has overturned the censor board of India’s decision to make 89 cuts to Udta Punjab, a film about drug abuse among Indian youth. That’s good news for Udta Punjab; so why was it subject to such censorship in the first place? It’s because India’s Censor Board (i.e. the Central Board of Film Certification) is an arbitrary, paternalistic and repressive tool of government which dates from the colonial era. The first censor boards in India were set up in 1920 to discipline, rear and guide Indians from their naïve, childlike and unruly selves. Today’s Censor Board continues the colonial tradition of parenting Indians, protecting them from all sorts of realities films. It has grown increasingly conservative since 1991 as a reaction to Westernization and is currently staffed with BJP members and supporters, including its head, Pahlaj Nihalani. The Udta Punjab controversy has nevertheless brought out Karan Johar, Mahesh Bhatt and Aamir Khan in support of the film. Online petitions to screen the uncensored version of the film gained tens of thousands of signatures. The Bombay High Court decision too leaves hope that, if censorship of cinema grows in India, so too will resistance. Uddari fully supports the protesting Indian authors who have returned their Sahitya Akademi awards, and those who have resigned from their posts, to protest the Akedemi’s inaction over the cold-blooded murder of fellow member Dr Malleshappa Kalburgi in August, and at the general escalation of intolerance in Indian society examplified in the recent Dadri incident where an alleged ‘beef-eater’ was lynched by a mob. As well, Uddari rejects the Modi Government’s attempt to trivialize writers’ valid protest against human rights violations and growing constraints on the freedom of expression as just ‘personal choice’ of individuals. 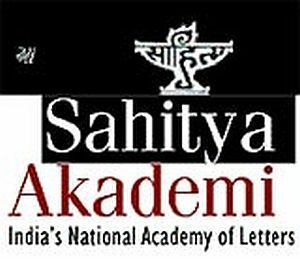 The courageous authors who have returned their Sahitya Akademi Awards are Punjabi writers Waryam Sandhu, Atamjit, Ajmer Aulakh and Megh Raj Mittar; Malayalam writers K Satchidanandan, Anand, Sarah Joseph, Subhash Chandran, Shashi Despande, and Urdu novelist Rahman Abbas; Hindi writer Uday Prakash, English novelist Nayantara Sahgal, Hindi poet Ashok Vajpeyi, and ‘Yuva Puraskar’-winning author Aman Sethi. This had begun earlier by six Kannada writers Veeranna Madiwalar, T. Satish Javare Gowda, Sangamesh Menasinakai, Hanumanth Haligeri, Shridevi V Aloor and Chidanand Sali who had returned their awards to put pressure on the administration to take action on the murder of Dr. Kalburgi. 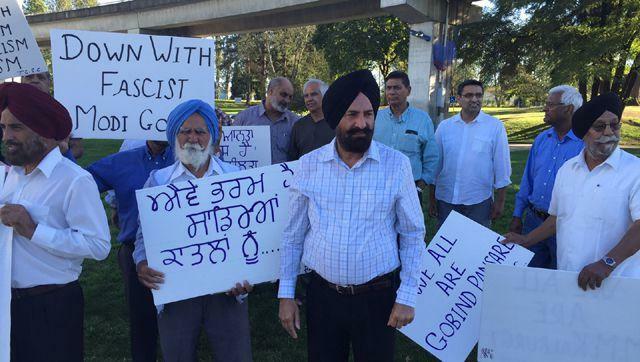 Uddari urges our readers to send messages to relevant authorities such as the Indian embassy in the USA, Consul Generals of India in Vancouver and Toronto, or to Sahitiya Akademi in India to strengthen the the efforts of protesting writers and activists. Here is the contact information.